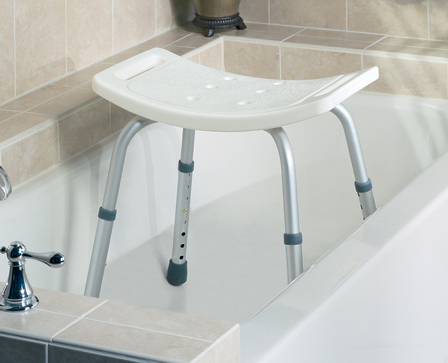 Knock Down Shower Chair by Medline Canada is designed for those who jave difficulty in taking shower while standing. Made of Durable lightweight aluminium. Seat has built-in hand holds to provide comfort and safety to customers. Height can easily be adjusted just with a push of a button. Shower chair with back provides extra support. Shower chair without back provides easier access.